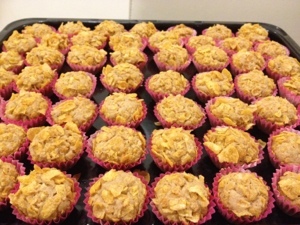 This year I decided to bake Cornflakes Cookies to add to the new year goodies at home. Didn’t have much time as I just got back from Hong Kong so needed something nice, yummy & simple to make! 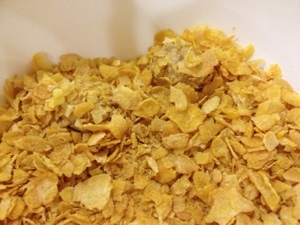 – Roll small balls of batter in your hands n drop it in the bowl of crushed cornflakes. 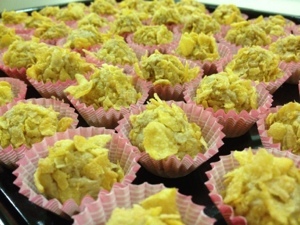 – My shortcut way is to roll 8-10 balls and place them in the bowl n swirl them around in cornflakes to coat the cookies. Saves a lot of time!!! 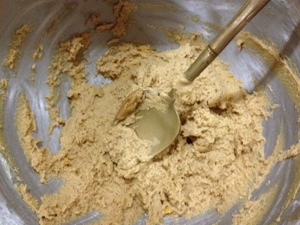 – Fill up the baking tray and bake for 18-20 minutes till golden brown. And… Wah lah!!! 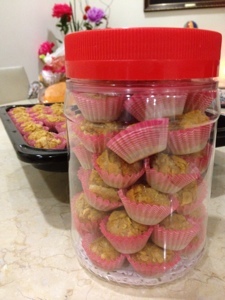 Yummy simple cookies for CNY to impress your friends & family!